The not-for-profit community organisation attempted to enter three different projects in this year’s awards but had trouble submitting them online on the day. It was later told the awards had been scrapped. Ms Robert said SERCUL planned to submit its phosphorus action group’s education program, along with the community work SERCUL does, plus the group’s support of a memorial grove project in Beckenham. ‘People had spent weeks preparing their submissions; it’s just really poor,’ she said. Environmental groups used the credibility offered by such awards to help secure funding, she said. Recent cuts at State and federal levels mean SERCUL may need to reduce its staffing levels, since just two funding pools remain. This will greatly affect the ability of small groups to access any funding at all, as they may rely on one grant a year. A spokeswoman for Environment Minister Albert Jacobs said the Department of Environment Regulation received a phone call from SERCUL on the closing date for the WA Environment Awards Friday, August 2. A DER officer encouraged SERCUL to submit the nomination, she said. SERCUL was also advised that nomination numbers were significantly down on previous years. ‘In addition, the department had also experienced a significant drop in private sector sponsorship for the awards, which cost about $100,000 for an evening gala event,’ she said. After nominations closed, a media statement was issued and published on the department’s website. 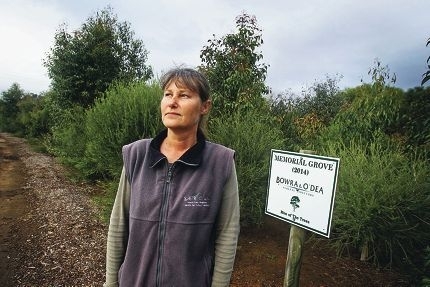 Nominees were notified by phone and email and told they would still be formally recognised for their outstanding efforts to protect the environment.